It’s right about this time of year that I get in full-on desserts mode. As the weather gets cooler, my sweet tooth gets a little bigger. I have no idea why—but I don’t argue too much about it. My favorite things to keep around are tiny nibbles that we can pull out of the freezer after dinner. 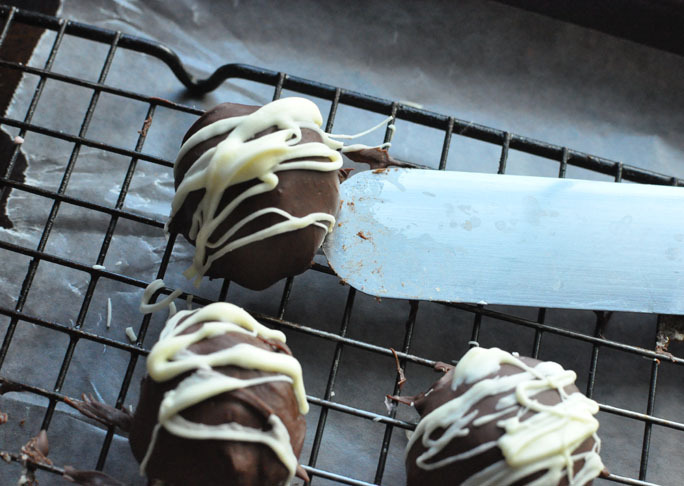 This frozen cheesecake bonbons recipe is the perfect sized after-dinner treat. With a decadent chocolate shell wrapped around tart cheesecake, they make an incredibly easy (but impressive looking) make-ahead dessert to bring to your next dinner party. Just three ingredients make an impressive looking homemade dessert. Step 1: Line a platter or cookie sheet with wax paper. (Make sure cookie sheet/platter fits inside your freezer before starting.) Using a melon baller, scoop out cheesecake and place side-by-side on cookie sheet/platter sheet. The cheesecake must be frozen solid so that your scoops come out round and neat. 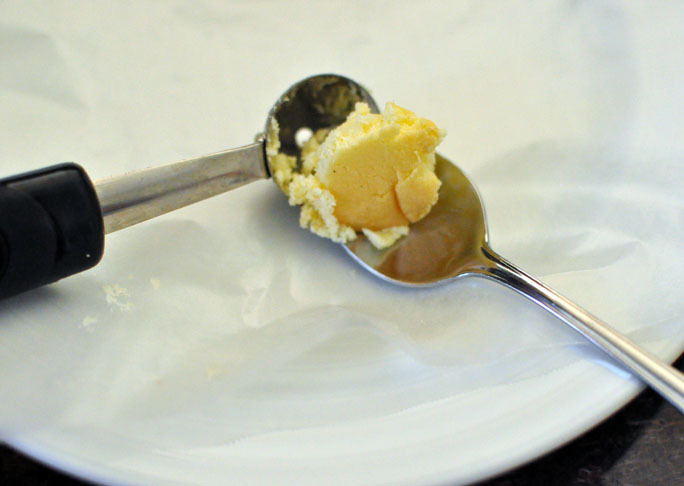 When scooping, be sure to really pack the cheesecake into the melon baller so you get a rounded top. 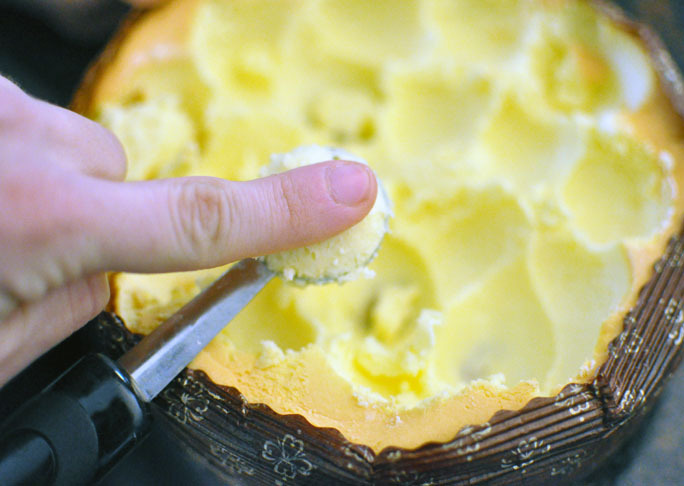 Step 2: After scooping out a ball of cheesecake, use a small spoon to help coax the cheesecake balls out of the melon baller and onto the wax-lined platter. 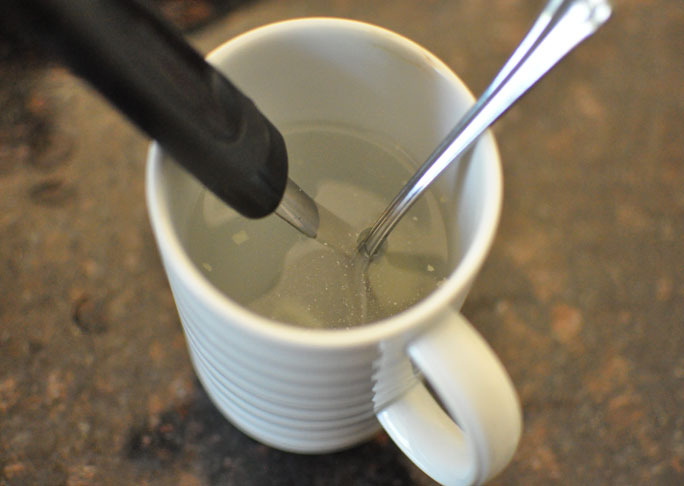 In between scoops, dip the melon baller and teaspoon into a mug of hot water; this will help keep the cheesecake from sticking. 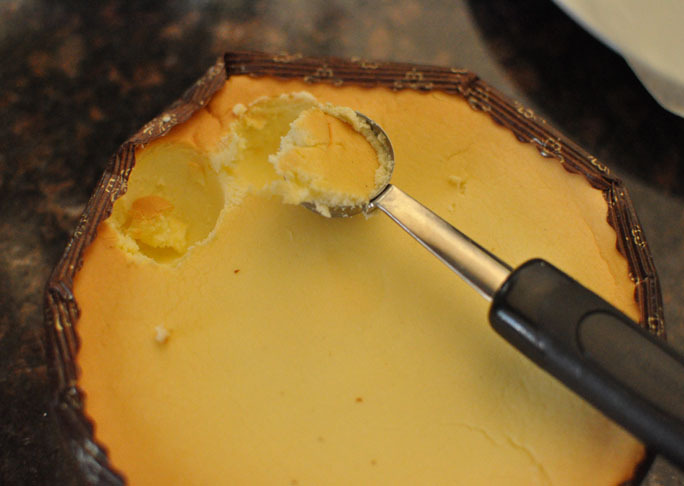 Avoid scooping up the crust of the cheesecake; use only the creamy cheesy part of the cake. Step 3: Once you have scooped out all of your cheesecake balls and placed them on the cookie sheet/platter, place cookie sheet/platter into the freezer and freeze for 2 hours. Step 4: Line a rimmed baking sheet with a piece of wax paper and fit it with a baking rack. Step 5: Work in two batches: melt half of the chocolate in a large double boiler until chocolate is smooth and shiny. 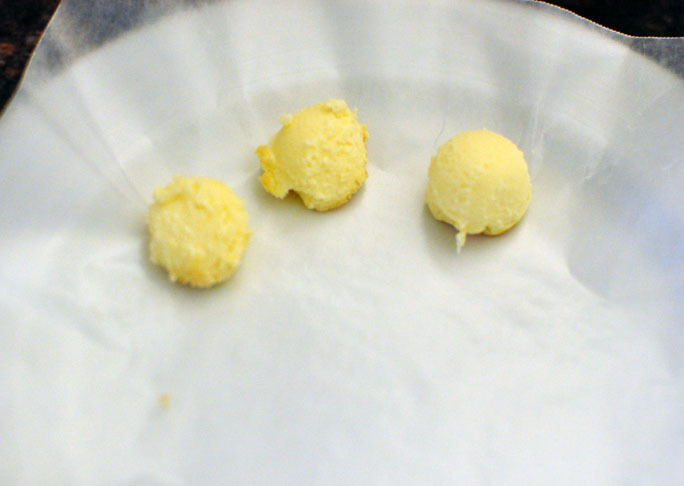 Step 6: Remove half the cheesecake balls from the freezer. Using a fork scoop up each cheesecake ball (don't pierce the balls) and dip each cheesecake ball into the melted chocolate to coat completely. 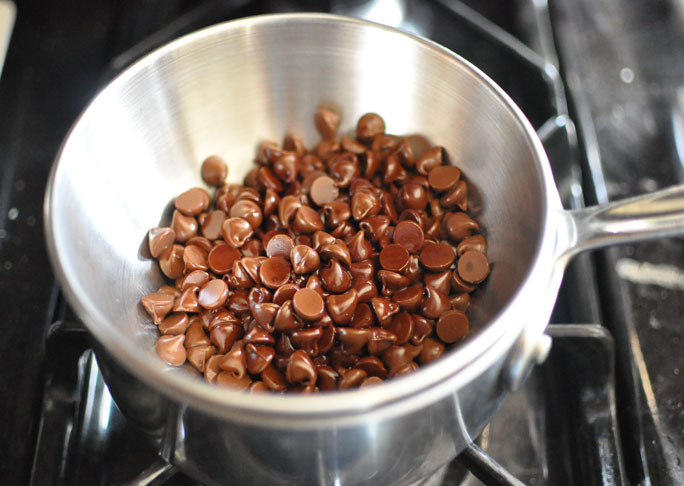 Allow excess chocolate to drip off into the bowl of melted chocolate. 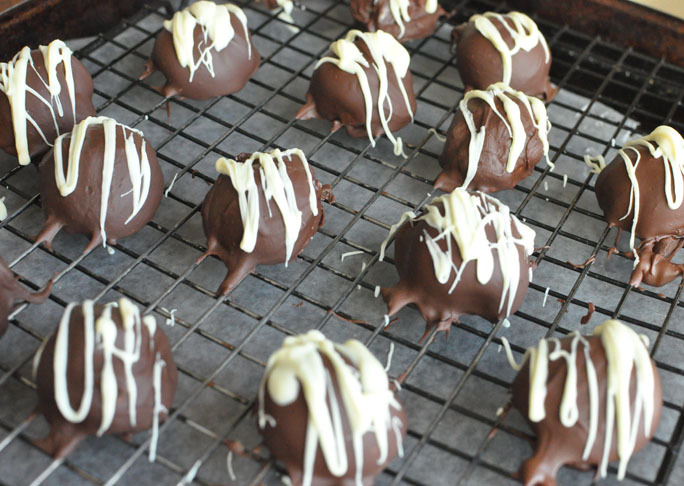 Place the chocolate-coated cheesecake ball onto the baking rack to harden. Step 7: Once the first batch of bonbons have been chocolate coated, remove bonbons from wire rack and place them onto the wax paper lined platter and place platter back into the freezer. 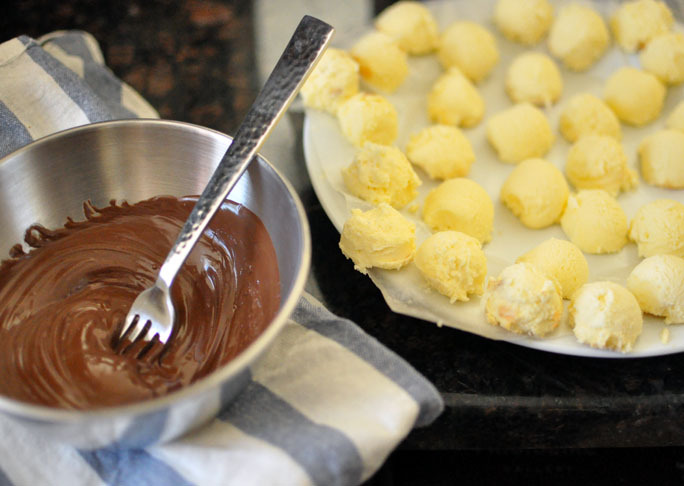 Use a tin metal spatula to gently remove the bonbons from the baking rack or platter. Step 8: Repeat steps 4 - 6 with the remaining cheesecake balls and melted semi-sweet chocolate. 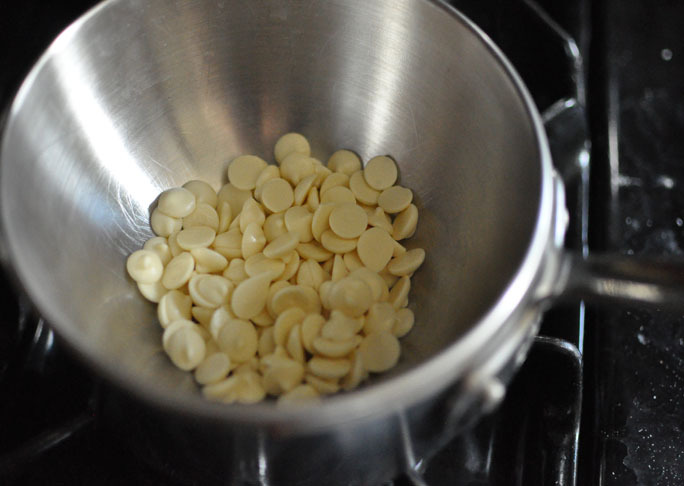 Step 9: Melt white chocolate in a double boiler. Step 10: Place all of the chocolate coated bonbons onto a baking rack fitted inside a baking sheet. 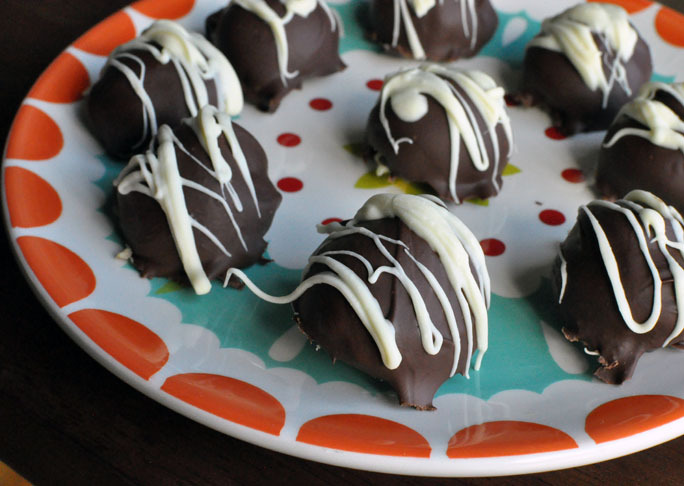 a drizzle white chocolate over each of the bonbons. Step 11: Place bonbons back on wax-lined platter and insert back into the freezer until ready to serve. Make-ahead directions: Bonbons can be made up to 1 week in advance and frozen in an airtight container. Just be sure to freeze them completely on a flat cookie sheet before placing them inside a Tupperware or freezer bag.